As well as being Galicia's capital, Santiago de Compostela is also one of the world's great pilgrimage destinations, a magical city, of stone, arcaded streets and numerous beautiful churches and cathedrals. The pilgrimage ends at the cathedral, but as well as exploring this splendid, soaring tribute to St. James (which has been wonderfully added to over the centuries since it was first built in the 11th), it's also worth spending some time in the cathedral museum. 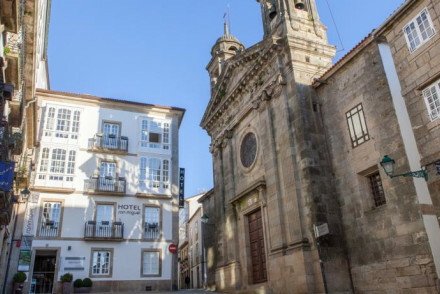 As a hugely popular destination, the best places to stay in Santiago de Compostela vary enormously from cheap and cheerful B&Bs to high end hotels. There's certainly something for all tastes and budgets. Most of Santiago's interesting buildings can be found within the oval shape of the old medieval walls, and the best way to make your way around the city is on foot. Indeed private cars are not allowed in the Old Town in the summer months from morning to dusk. And let's face it if you've been walking the Camino de Santiago, you'll be well used to it! Santiago de Compostela, like the rest of Galicia, is renowned for its great food. So look out for one of the many cafes or restaurants that's filled with locals and tuck in to some fabulous dishes (the emphasis here is on simple ingredients cooked to perfection, with plenty of seafood). You can’t go to Santiago and not visit its cathedral. Built during the 1300s, the changes over the subsequent centuries have added Gothic and Baroque features to its Romanesque architecture. To truly understand the city visit the Cathedral Museum and get to grips with the layers of history. Sample monastery style cuisine in the now converted San Franciscan convent. Find some peace and quiet and enjoy the city views on a walk through Alameda park. 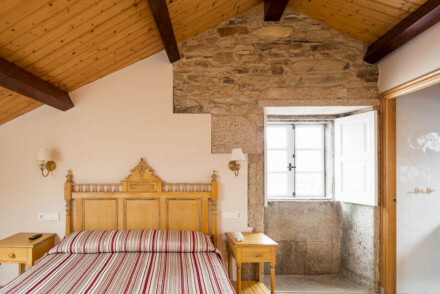 But don't forget, if you want to bag a bed in one of the best places to stay in Santiago de Compostela during July and August, you'll need to be organised and book well ahead. A modern property located just a short walk from the cathedral - convenient and stylish Moure is ideal for a city break. 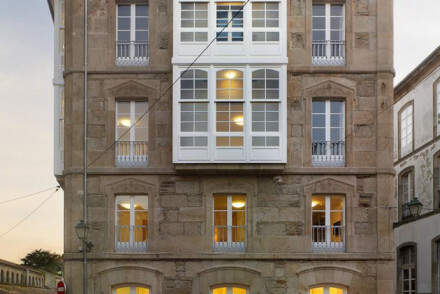 Hotel Miguel is an historic property in Santiago de Compostela's pedestrianised centre. The interiors are a clever blend of the traditional and modern, plus there's a charming garden and great restaurant. .A Quinta de Auga is a classic spa hotel just outside Santiago de Compostela. 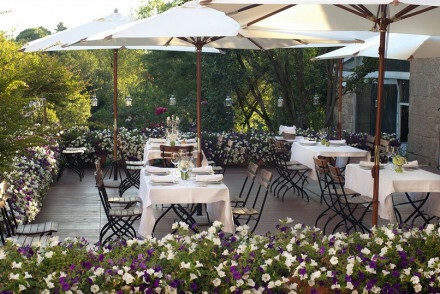 Its gardens are lovely, its food gourmet, and the rooms are luxurious. A Casa Da Torra Branca is a beautifully renovated 17th century farmhouse offering chic and cosy rooms in a village setting. 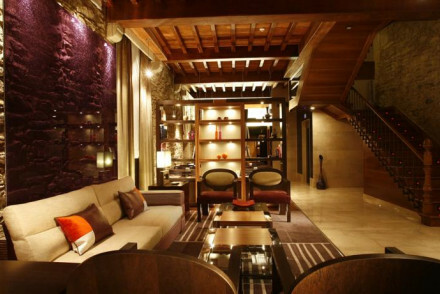 Pazo de Altamira is a chic historic property located on the Plaza de Abastos Square featuring contemporary interiors, modern art and a bohemian restaurant. Hotel Altair has been designed for a chic stay. with just elelven rooms offering atmospheric interiors, think exposed stone walls, contemporary furnishings and luxe amenities. Located a little out of town OS Lambrans, a converted farm house, is set in stunning countryside and boasts a six bedroom apartment ideal for families. 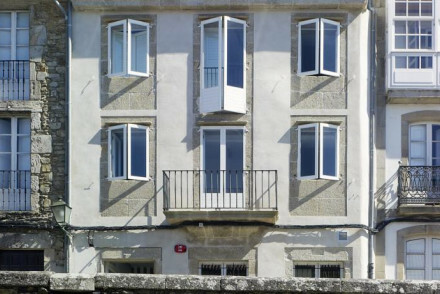 Fly to the well connected Santiago de Compostela Airport located a convenient 10km from the city centre. Santiago de Compostela is easy to reach by train with direct lines from Madrid, San Sebastián, Hendaye and Barcelona. Best time to visit - for warm sunny days plan a trip between July and September when temperatures range from 18°C - 24°C. Browse through our list of all the best places to stay in Santiago de Compostela. 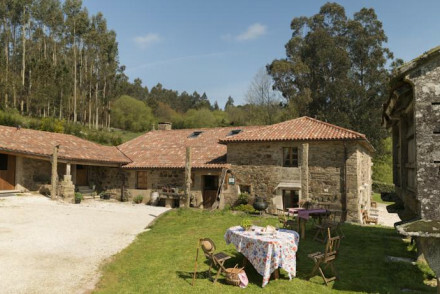 Expand your search to include the best places to stay in Galicia.